It's inauguration day — did you vote? 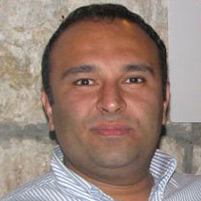 Rayid Ghani (ML'01) may have lent a hand. Creating algorithms to interpret mountains of gathered data, the Carnegie Mellon alumnus and machine learning expert played a groundbreaking role as chief scientist for the Obama for America 2012 campaign. Using analytics and machine learning, Ghani focused on using online tools like email and social networking to motivate people's offline actions, from fundraising to volunteering to voting. It was a daunting task made exponentially more so when scaled to the national level.